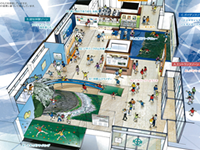 Your first stop for the latest information about the Itoigawa Geopark! Discover the wonder of our planet at this museum of Jade and the Earth! Not sure where to start? Try one of these sample courses! Check how far it is from one site to another with this tool. Join one of the many festivals and events around Itoigawa Geopark! Learn how to hire a personal guide to show you around! Find out more about seasonal tour buses around Itoigawa Geopark. The most convenient way to get around the Itoigawa Geopark! Explore Itoigawa with the Official Smartphone App on Android or iOS! Record your Geopark memories with these downloadable templates! Learn how to participate in this ancient New Year’s festival! 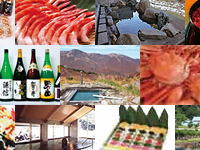 Discover Itoigawa’s many restaurants and bars! Whether a small B&B or a massive hot spring resort, we have the hotel for you!